Thermal sleeping bag for survival shelter. Originally designed by NASA for space exploration, these insulating mylar sleeping bags provide compact emergency protection in all weather conditions by reflecting back and retaining 90% of a survival victim's body heat. 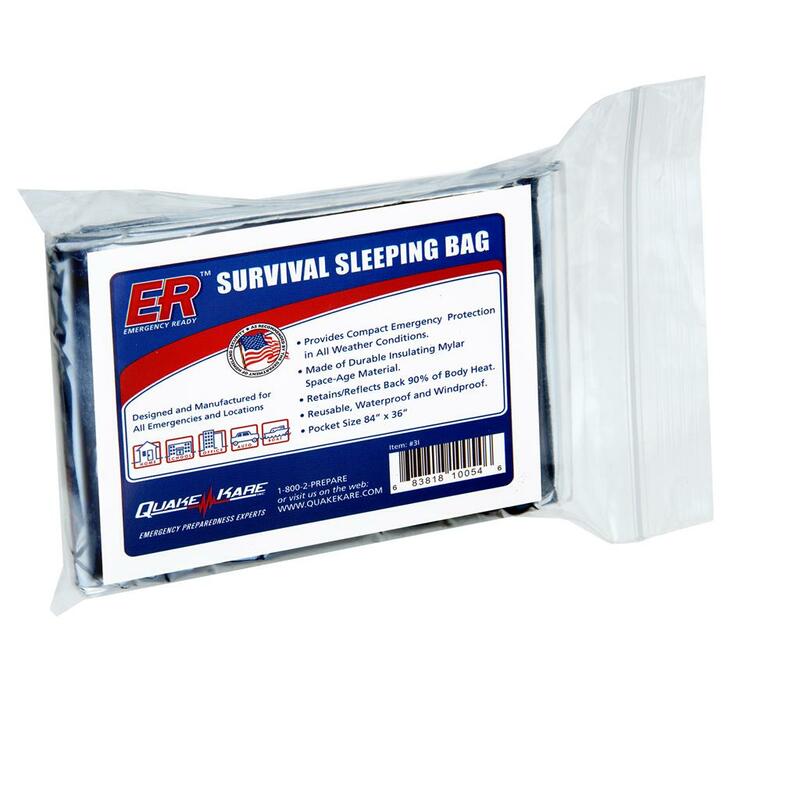 ER™ Thermal Mylar Sleeping Bags are ideal for all emergencies. They can be used to prevent and counter hypothermia by reducing heat loss from a person's body, to cover injured victims in order to help reduce shock, to line the inside of a sleeping bag, and can even be used in a hot environment to provide shade as a shelter barrier. 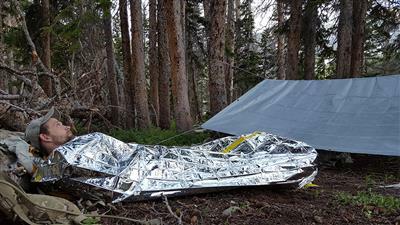 Why do you need Thermal Mylar Sleeping Bags? Following a disaster when at home, school, or work; structures may suffer damage and be unsafe to occupy. You may be forced to take up shelter outdoors and face extreme weather conditions. When on the road during a disaster, you may be forced to travel by foot in extreme weather conditions. 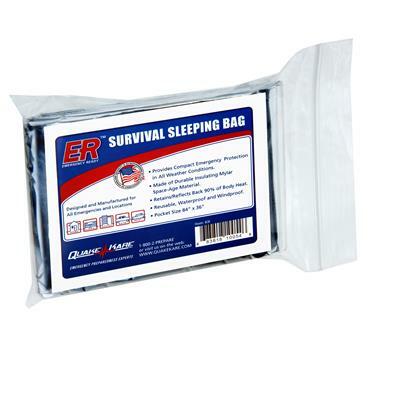 So be sure to have the proper emergency shelter supplies such as emergency thermal sleeping bags. 1 sleeping bag: 3.25" x 1.25" x 6"
case (120/Case): 17.5" x 10" x 15"
pallet (6000/Pallet): 48" x 40" x 80"